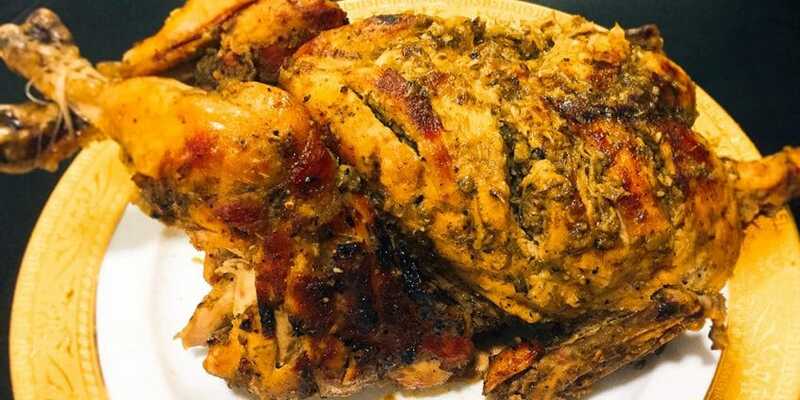 Arabic Roast Chicken made with simple at home ingredients like garlic, ginger, salt, pepper, butter etc. 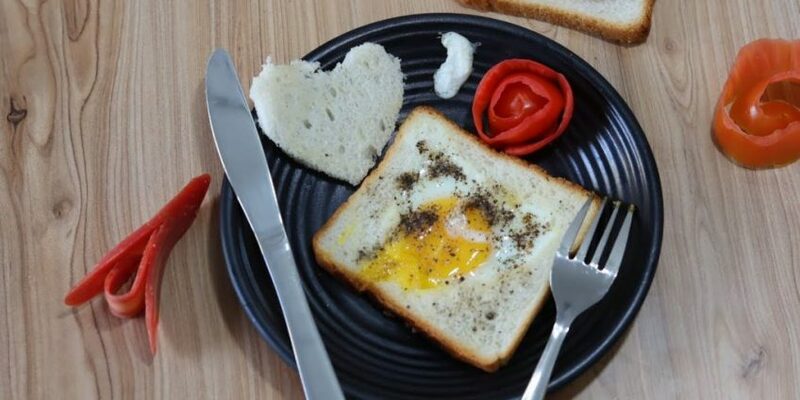 A very simple and easy recipe to make even for men. Roasted chicken is healthy in comparison to fried chicken. Roasted foods are low on cholesterol and roasting makes the food tender and succulent. Usually, Arabs eat non-spicy food. I am very fond of Arabic Cuisine. The reason behind it is that I have spent a quarter of my life between them. 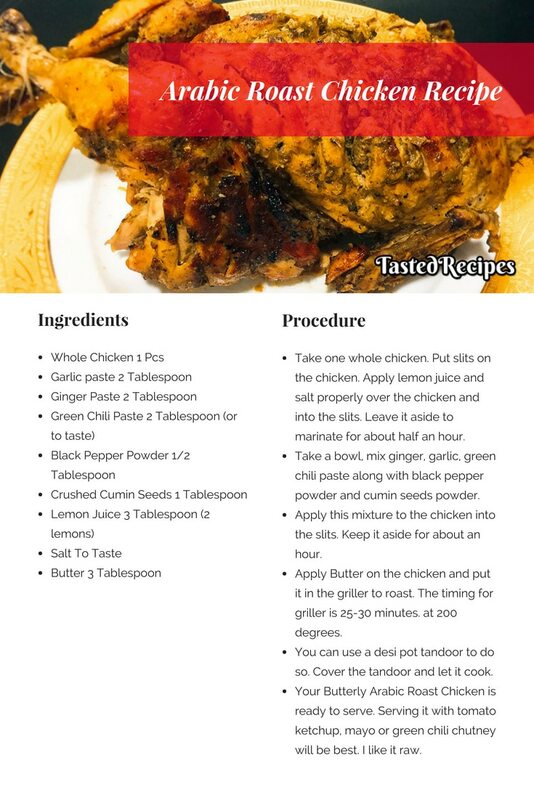 This recipe is among the favorite recipe list. Back in 2014, I was on a business trip to Dubai, where I had a dinner invitation from one of my Arab friend. 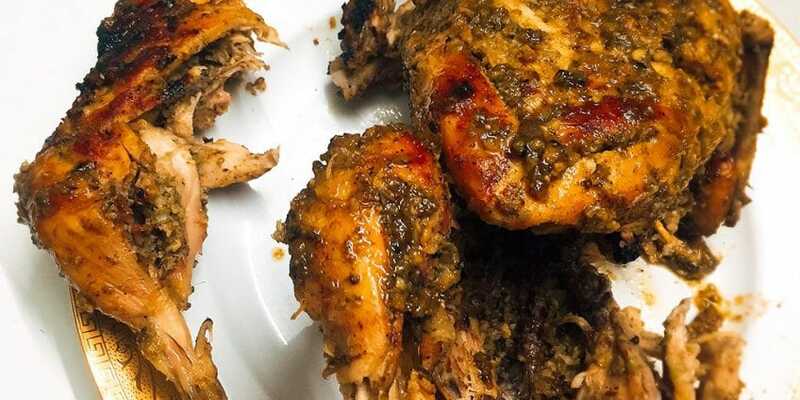 His wife Fatima cooked this Arabic Roast Chicken for dinner. I was mesmerized by the aroma and taste of it. Take one whole chicken. It should be no more than 900gm-1000gm. Usually, bigger chicken remains dry inside. Clean and wash it properly. Put slits on the chicken. Apply lemon juice and salt properly over the whole chicken and into the slits. Leave it aside to marinate for about half an hour. Take a bowl, mix ginger, garlic, green chili paste along with black pepper powder and cumin seeds powder. Apply this mixture to the whole chicken properly and also into the slits. Keep it aside for about an hour. You can keep it for long for easy and fast cooking times. We usually keep for 4-5 hours. Apply Butter evenly on the whole chicken upside down and put it in the griller to roast. The timing for griller is 25-30 minutes. at 200 degrees. If griller not available, you can use a desi pot tandoor to do so. Cover the tandoor and let it cook. Check often and change the side for proper cooking. If you like it crispy you can cook for longer periods. 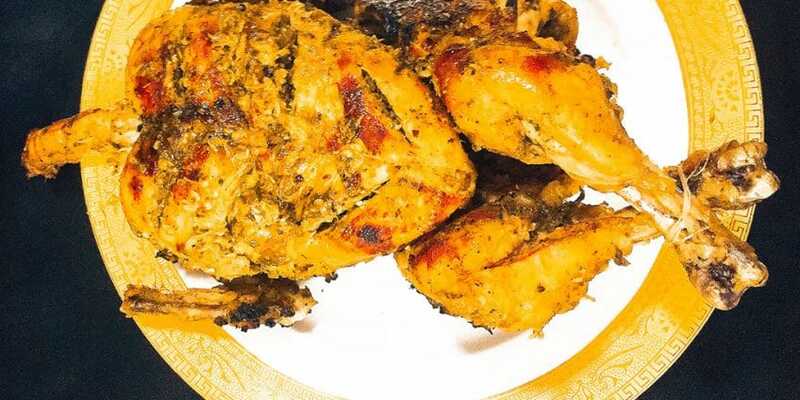 Your Butterly Arabic Roast Chicken is ready to serve. 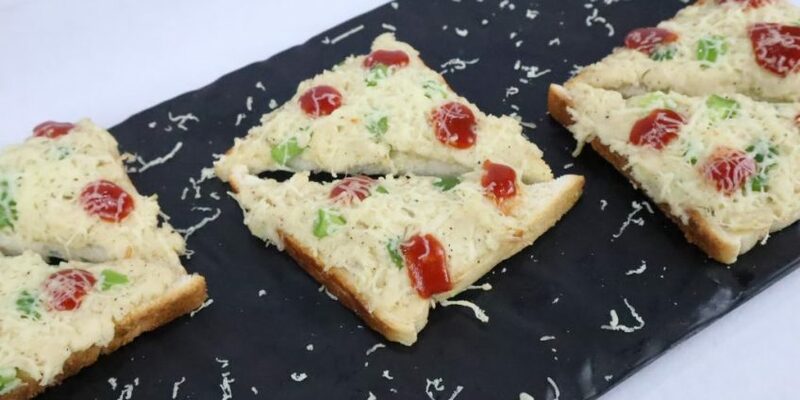 Serving it with tomato ketchup, mayo or green chili chutney will be best. I like it raw.